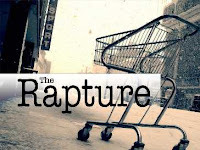 My previous article commenced a series of articles on the rapture. 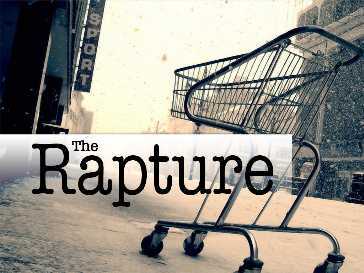 We began with the question, "What is the Rapture?" This question can best be answered by noting ten truths about the rapture from 1 Thessalonians 4:13-18 and 1 Corinthians 15:50-58. In this first article, we saw that the rapture is an important doctrine and not something that can be marginalized or explained away as a secondary doctrine. We now move to our second point. Second, the rapture will be an event which is distinct from the Second Advent. In other words, the Second Coming of Christ is divided into two phases. There would be part 1 of the Second Coming of Christ and then part 2 of the Second Coming of Christ. After He comes to rescue His church, He will return at the end of the Tribulation period when He brings judgment upon planet earth. Some may think it strange to divide the Second Coming of Jesus Christ into two distinct phases. Interestingly, when we go back into the Old Testament and we study various truths and prophecies related to His First Coming, we very quickly get the idea that different prophecies are saying different things. For example, Isaiah 53 describes the Messiah suffering and dying. On the other hand, Isaiah 9:6-7 describes the Messiah ruling and reigning. How could He come and suffer, and how could He come and rule and reign at the same time? The only way to harmonize these passages is to conclude that there must be two comings of Christ. There must be one coming when He comes and dies to pay the penalty for the sins of the world and another coming of Jesus to rule and to reign. So we can conclude by studying the Old Testament that the coming of Christ takes place in phases. In essence, this same approach leads one to the teaching of the rapture. The New Testament describes the Second Coming of Christ in two different ways. Thus, the only conclusion we can come to is that the Second Coming of Jesus Christ will also take place in two phases. For example, at the rapture Christ will come in the air (1 Thess. 4:16-17). However, in the Second Advent Jesus Christ will come back to the earth (Job 19:25). His feet will physically touch the Mount of Olives (Acts 1:9-12; Zech. 14:4). At the rapture, Christ will come for His saints. In other words, He will come back for His church (1 Thess. 4:15-17). By contrast, in the Second Advent, He will come back with His saints (Jude 14; Rev. 19:14). Moreover, the rapture will be an event of great blessing. Everybody who is involved in the rapture will be blessed (Titus 2:13; John 14:1-4). Thus, Paul uses this doctrine to comfort the Thessalonians (1 Thess. 4:18). On the other hand, at the Second Advent of Christ there will be tremendous judgment (2 Thess. 1:7-8; 2:8; Isa. 11:4). Revelation 19:15 describes a blood bath as the Christ-rejecting nations of the world will oppose Christ at His Second Advent. Christ will come to defeat and declare victory over them. In addition, when Christ comes in the rapture, it will only affect believers. It will involve Christians, that is those who are “in Christ” (1 Thess. 4:16). However, when Jesus Christ comes at the Second Advent, His coming will directly impact both believers and unbelievers (Matt. 25:31-46; Rev. 19:15). Another distinction is that the rapture will be an event that is visible only to those that are “in Christ” (1 Thess. 4:16). Christ will meet believers in the air. However, the Second Advent is something that will be visible to the entire world. "Every eye will see Him" (Rev. 1:7). Another simple distinction is that the rapture will be an event that is announced by an archangel (1 Thess. 4:16). By contrast, the Second Advent of Christ will involve myriads of angels who will accompany Christ as He returns to the earth (Matt. 25:31). In addition, the rapture will be a resurrection. First Thessalonians 4:16 speaks of a resurrection associated with the rapture when it indicates that, "the dead in Christ will rise first." By contrast, at the Second Advent of Christ there will not be an instantaneous resurrection. Finally, when Christ comes at the rapture, He will come to rescue the church (1 Thess. 1:10). However, when He comes in the Second Advent, He will come to rescue Israel (Matt. 23:37-39; 24:31). As we carefully scrutinize, read, and examine the prophecies related to the return of Christ we see His return described in totally different ways. The only logical conclusion one can reach is that the Second Coming of Christ must occur in two phases. As will be shown later in this series, there must first be a rapture before the Second Advent can occur seven or more years later. This identical logic applies to the Old Testament teaching that the coming of Christ must have two phases as well. He comes to suffer and die (Isa. 53), and then He comes to rule and reign (Isa. 9:6-7). Identically, the New Testament reveals that the Second Coming of Christ also has two distinct phases. Thus, not only is the rapture an important doctrine, but it is also an event that is distinct from the Second Advent of Christ.